New Siem Reap Town Hotel, a branch-new, beautifully finished, and stylish hotel inspired by the heritage of Khmer culture and wooden Cambodian style. 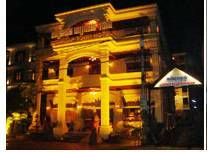 New Siem Reap Town Hotel, contains 110 rooms with all modern amenities and elegant-hand carved traditional Khmer wooden furniture. 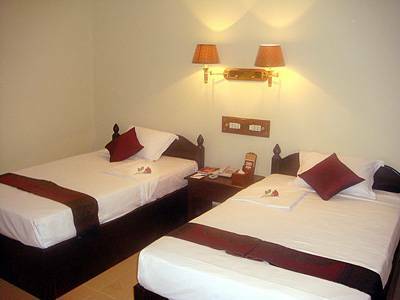 Discerning and seasoned travelers will be surprised and gotten a warm welcome by our Khmer hospitality, extremely, helpful - a hotel which offers you the best interest and pleasantly different during your relaxed time to visit the wonder of the world Angkor temple an ancient Khmer architecture of Angkoriana era. The Hotel contain 110 rooms + 2 conference rooms: 91 twin, 15 double Room, 4 Suite Rooms, each rooms is good capacity and divided by three floors (ground, first, second and third). All rooms are equipped with all modern equipment are: (Alarm Fire, A/C, cable TV, Mini Bar, Telephone, and private bathrooms (shower, hot water, bathtub...). We welcome large group and are keen to provide the highest standards of service and excellence. The room charge is including Free Breakfast and Transportation from Airport to the hotel. 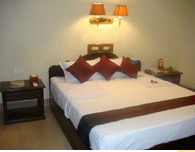 The Hotel contain 110 rooms: 36 superior double / twin, 70 deluxe double/ twin and 4 Suite rooms each rooms size 4m x 5. 5m and divided by five floors. 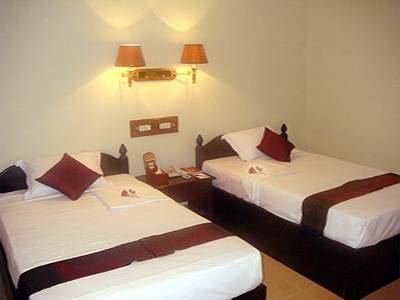 All rooms are equipped with all modern equipment are: (Alarm Fire, A/C, cable TV, Mini Bar, Telephone, and private bathrooms (shower, hot water, bathtub...). Breakfast included and Transfers. 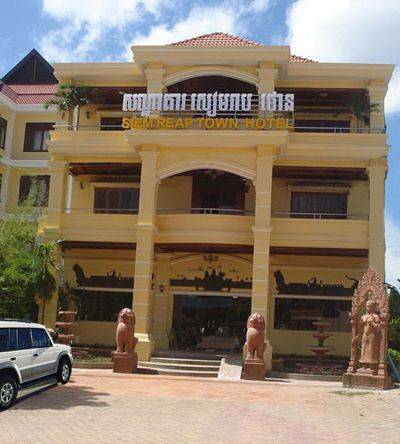 New Siem Reap Town Hotel is ideally located on the good location between Samaki market and Psar Leu market, just 15 minutes drive from Siem Reap International Airport and close to down town, which is possible to go shopping easily, restaurants and markets and 15 minutes to magnificent Angkor Temple in the north.